This exhibition features inventive examples of fantasy art shoes chosen from the Jane Gershon Weitzman Collection, remarkable for their imaginative construction and elaborate adornment. 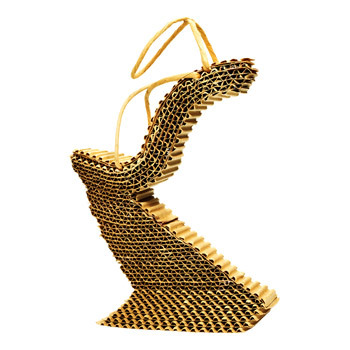 Each delicate shoe is constructed from unexpected materials such as bronze, ceramic, wire, Plexiglas and corrugated cardboard. 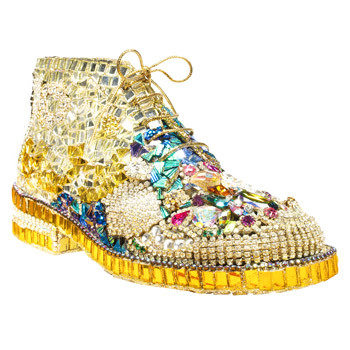 Other shoes are noteworthy for their surfaces, embellished with feathers, gems and cake frosting. 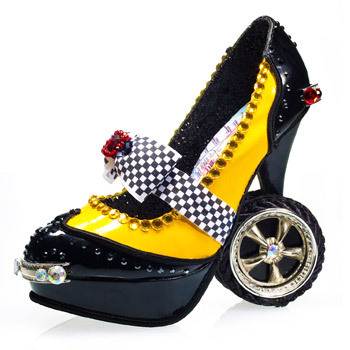 “While delighting the eye, the shoes provide our visitors wonderful opportunities to see notable artists transforming functional objects into whimsical and humorous art. No pair is alike, and each one sparks the imagination,” said Amy G. Moorefield, Taubman Museum of Art Deputy Director of Exhibitions and Collections. Weitzman, who served as executive vice president of Stuart Weitzman and first vice president of Stuart Weitzman Retail, invited hundreds of artists to make these shoes for their window displays, which later inspired her book, Art & Sole. Weitzman said, “I looked at the [store’s] windows as variations on a theme. I tried to find artists who worked in as many different materials and styles as possible." 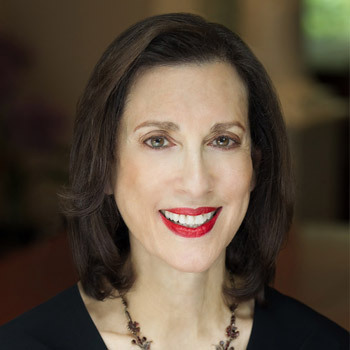 Weitzman spearheaded philanthropy for the company by generating funds to support breast and ovarian cancer research and awareness. Her efforts were brought to life through innovative charity events on the brand’s web site, such as the Stuart Weitzman Celebrity Breast Cancer Shoe Auction, and its retail stores. She serves on the Trust Board of the Boston Children’s Hospital. 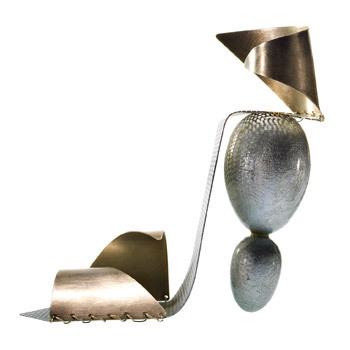 Art and Sole: Fantasy Shoes from the Jane Gershon Weitzman Collection was curated by Jane Gershon Weitzman. This exhibition is on display in the Bank of America/Dominion Resources Gallery September 3 - December 31, 2016.